“Very informative! Your history as an owner helps your authenticity in directing, teaching and encouraging us! Thanks.” – Anon. “I am so thankful for the LBMAO and this course. It was educational and leaves me with a lot of things to take home.” – Anon. Our yard foreman seminar has been updated and is now designed to provide a clearer understanding of the yard function and its impact to profitability and customer service. 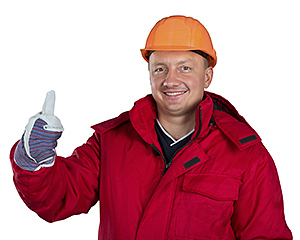 Although designed for retail lumberyard foremen, the stores who also send upper management or ownership will learn that for principles applied at the yard level to be most effective (have a positive effect on the bottom line), they need to have the support of the overall store management. The instructor has been very surprised at the general lack of employees’ understanding of what is expected of them in this industry position. This seminar effectively addresses this problem through storytelling, interaction and brainstorming so that each student is very clear on the principles that need to be managed for the overall benefit of the store. The LBMAO has had many very positive responses to this course and each attendee returns to their store with a binder full of tools to adapt to your store setting. Focusing on the importance of well-managed yard, storage and delivery operations in the retail building supply business. Helping participants understand the impact of year operations on the bottom line. Looking at the principles of efficient warehouse and yard lay-out. Covering all aspects of the job – from inventory management, effective use of equipment, work-place safety – to customer service and employee management. Discussion/contact with other foremen and managers. Practical leadership and training ideas for managers.